« Lewandowksy, Oberauer, Gignac – Is the paper bad enough to make history? I don’t understand why in the IEA data above electricity counts as a “fossil fuel”. Perhaps someone can elucidate this strange logic. This may be O/T a bit but it is the reason we have the debate about CAGW. Bob Tisdale has a tiny version of his new E book at WUWT and shows that ENSO accounts for just about all the warming since 1980. Cohenite might like to tell us whether he agrees with Bob’s conclusions and how much wriggle room does it leave for CAGW. Just wish Jo or David had the time to look at Bob’s graphs and numbers and give an opinion as well. Excellent book Neville, very lucidly explains how the systems work. At only $8 it’s a steal. The figures are mythical. See the small print; they compared the prices of oil, natural gas and coal in those countries, and found that those prices were lower than in other countries e.g. France. In those oil producing OPEC countries, the oil used internally is only a small percentage, so the local Government doesn’t tax it, and keeps the locals happy. They claim the difference can only be due to a “subsidy”. If those prices were increased to the same as in France by increasing taxes, then that would mean they were no longer “subsidised”. Electricity in those countries comes largely from fossil fuel, so is cheaper than that from “renewable” sources. Again they claim it must be because of subsidy. Really it is because “renewable” electricity costs more, even though it is subsidised. What it comes down to; they want taxes to be raised on conventional sources, and subsidies the same (or raised) on “renewables”. That way they think that people will use more renewables. It is a last desperate try. Graeme, No problem with what you say, but that wasn’t the point I was making which was very elementary about the graph from the Guardian. How can they count electricity as a fossil fuel? It just screamed out from the page. I am just amazed that so few people here have picked up on this drivel. Of course electricity is most often generated from burning some sort of fossil fuel, but those fossil fuels are already on the list. It’s not even comparing apples to oranges, but apples to bricks. ‘Fossil fuel’ is a misnomer. Petroleum is derived from hydrocarbons from within the earth itself. The same applies to natural gas. Only coal can be considered a fossil fuel. Fossilised forests. Even coal deposits tend to be found in areas that were once geologically active, low lying sedimentary basins. It is not impossible that the majority of coal deposits are derived from hydrocarbons from within the earth itself. Fossils contained within the coal are the remains of swamp vegetation that grew in these low lying areas. I also remember, but never kept the article, that the well preserved remains of a sea urchin type creature were once found in one of the coal mines around Wollongong in NSW, so it is possible that coal deposits can also be formed under the sea. I have personally found carbon traces, running at angles to the bedding planes, through pure white sandstone. It is not logical to think that it was decayed organic matter. Sorry JMD but abiotic hydrocarbons are just a fantasy – don’t start our abiotic friend going. From your geological description below in 5.1.1 I am assuming you are not a geologist at least not a sedimentary geologist – what is meant by “geologically active, low lying sedimentary basins”? bit of a contradiction there. Yes simply coal deposits are formed from swamp vegetation and often these are adjacent to sea level. They need to be relatively stable to accumulate the peat, if not they flood or dry out and then no swamp and no coal. Think of the lower Mississippi or for our Permian coals which are generally cold climate, the Fraser River delta in northern Canada. You don’t need much of a change in sea level for it to encroach on that swamp. So were your reported sea urchin type creatures in Permian coals around Wollongong,actually in the coal,or above or below? One of my mates has over 50 years experience as a coal geologist. He is directly responsible for finding one of the most valuable (800+ million tonnes) black coal deposits in the world back in the 1970s (Bowen Basin Queensland). He also thinks the conventional flooded vegetation theory of coal formation is utter crap. Well I’m only a little bit short of that (yes in coal), but I am open to to convincing- so he published then as I don’t believe I have read such a convincing paper. Not Louis is it? Always easy to throw around this sort of non-science theory. How is it that coal macerals show their vegetation and associated origins then? Please explain (another bananabender quote I believe).So how does peat form, what about brown coal with great logs in it and the very explainable rank progression. Just to further doubt your statement, as a geologist who has also been involved in or associated with many so called “discoveries” it always amuses me when a single person lays claim to a discovery, very rare, does happen but usually a team effort. I always thought it was Leichhardt who discovered coal in the Bowen in about 1845 with the majority of deposits being discovered in the 1960s. Agreed but add from other sources outside the earth also. Titan in the orbit around Saturn has seas of hydrocarbons 100,s times than all combined sources in the Earth. So they say. How anyone in their right mind can justify such a profligate waste of taxpayers’ money in such large quantities diverted for such little gain, and which could easily have been diverted into far more useful endeavours for the betterment of humankind, is hard to comprehend. Humanity have really proven to be their own worst enemies in forcing this de-evolution of the species upon ourselves through greed and mass delusion, and in history this will go down as the ultimate Age of Stupid, a Dark Age of de-Enlightenment and a reverse Renaissance. They control your money Winston, what do you expect? That’s not all. Imagine how much taxpayers would save if the government claimed “unclaimed revenue” by having an income tax-free threshold of $100 and marginal rates of say 80%, 50% and 40% — oh hang on a minute. Earlier this year I took advantage of a government subsidised solar panel program – I only did this because I thought it was so insane. I had a 4kWh unit placed on part of my roof which is flat and therefore cannot be seen. So now I am paid ~$0.71 per kWh I generate indirectly by the government and I pay ~$0.14 per kWh I consume from the national grid. The price is inflation adjusted, the contract is for 25 years and all receipts are non-taxable. No wonder western governments are going bust! 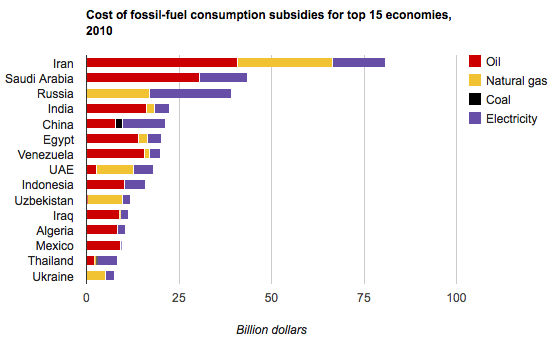 Also, who has benefited from these subsidies on solar power electricity? Answer: The manufacturers of solar panels in China. Nearly all the solar panel manufacturers in the western world have gone bust. Note: This deal is no longer available. Peter, you may be able to tell me. I understand the benefits of solar hot water, which is why it’s been around for as long as Cliff Richard. However, on the subject of feed-in: Let’s assume that solar-to-grid is a good idea (obviously, it’s not), would it not make more sense to set up a centralised solar “farm” rather than have individuals using their rooftops, with all the attendant probs of cleaning, maintenance, vegetation etc? At least that way you have just the one big turkey, rather than thousands of small ones. I really don’t get it. Perhaps Tony from Oz has some insights into why they chose to do this at all. Was it to encourage people to use electricity when the sun is out? Or is this just the mother of all awful green ideas? probably inadvertently, you have raised something I’ll bet not many of those people who have installed rooftop panels may not realise. It’s the Light from the Sun that generates the current flow from tiny cell to tiny cell in the overall single panel, which is then connected to the next panel. Block that light and the light can be the same strength, but less power is generated. When a cloud passes across the face of the Sun, it blocks most of that light, and the panels may only generate 10 to 20% of their power. losing that power immediately, and it takes a while to build back up to full power after that cloud passes. The same applies for anything that blocks the light from the panel. The thinnest film of dust acts the same way. So, in effect, these panels need to be pristinely clean at all times, and here I mean not just a hose off, but almost to the extent of using a glass cleaning product to clean the panels. Effectively, those panels must be cleaned regularly, and here I don’t mean every three to six months, but regularly. How many people are going to routinely get up on their roofs to clean the panels for optimum performance. While most systems say that (X) will be generated from (Y) panels, hence an overall KWH total, those sites always mention (but not very prominently) that the power total is usually only around 85% for the first five years, and then drops from there. The panels (supposedly) have a life span of 25 years, but they are virtually useless after 15 years, even if everything goes well. These systems are a turkey of the grandest proportion. Its worse than that – remember the panels may be ‘guaranteed’ for X years – but the inverter and the other complex electrics are not guaranteed for anything near that period. Also factor in the fact that over 20 years its very likely that better and more efficient techs will come along and you end with an expensive to maintain worthless white elephant on your roof that will actually cost you money to have removed..
Now solar hot water is a much better proposition and I have an evacuated tube unit on my roof which provides plenty of low cost hot water. I also have a loft heat recovery system in the roof, so all that hot air in winter gets put into my living space – combine that with a boost of heat from a log fire in the evenings and we are comfortable at low cost. Much better if you don’t need the power in the first place – thats the saving that really keeps on giving..
Read the full warranty as well. Guaranteed 80% of maximum power for 25 years. Careful. I have solar panels, hot water and voltaic, that are now over 25 years old. They have never been cleaned and can still do about 80% though they drop out seriously if portion of one panel is shaded. Hot water is good but the others have never been worth the trouble. Lightening is devistating on the inverter and we still have to have a generator for big loads. Sorry to rain on your otherwise good post. I hope you don’t get too upset if a future government says “stuff your contract, we now pay the going rate as per the coal powered feed-in”, ie about 4-5c/kw(iirc). That is what the real market should be paying for feed-in, if it were not for the governemnt/s tax-payer funded subsidies. Governments generally tend to honour contracts, no matter how goofy they might be. When it is clear Australia’s carbon tax is about to be repealed, then can you imagine the number of associated bureaucrats who will have their salaries reviewed upwards and the compensation period for dismissal extended? Yet the incoming government will still pay. Re: solar panel efficiencies, I assumed I would get 65-75% of the theoretical amount and that seems to be about right, the highest I have ever seen is 85%. Clouds usually drop electricity generation by around 85%. The only possible way that ‘renewable energy’ could ever make any economic sense is when/if we can find a way of storing large amounts of electricity. Well done, on your Solar Panel purchase, Peter. But as you are an avowed anti AGW, anti renewable energy campaigner, I am a little concerned about your adoption of Green Technology. Do you always compromise your principles for the sake of money???? Petrol can be produced for as little as $0.15/litre in the Middle East. So even the Iranians aren’t ‘subsidising’ their dirt cheap fuel. I’m sure all those figures are right, especially also the hidden subsidies for conventional fuels. Some sources in Germany quote a figure of more the 4 Euros per kWh for nuclear produced electricity if all external costs were included. But I had a different look at the future world problem on a what if/then basis at http://altenergymag.com/emagazine/2012/08/peak-what/1963 and find the results staggering myself. I hope someone else will do a similar exercise to improve or correct what I found. Those aren’t the five biggest oil companies- they are biggest energy companies. The biggest oil “companies” are in the Middle East. Unfortunately not much of those subsidies have anything to do with providing reliable electrical power- mostly ensuring power-plants are in politically favorable locations. Just look at Western Australian and the electrical power generator at Collie to get the some votes for the Labour Party. the irony is seemingly lost on the CAGW-ers (including the Unions) that all their “good intentions” are lining the pockets of the banksters and traders in derivatives, while hurting workers! RATEPAYERS across the state face higher rates (and) landfill fees because NSW councils will not be allowed to trade carbon credits. The federal government is confident the NSW legislation and the ministerial order does not prevent NSW councils complying with the Clean Energy Act, Mr Combet’s spokesman said. It did concede however that when the emissions trading scheme comes into effect in 2015, a secondary derivatives market for carbon would allow the trading in options to hedge against the future carbon price – and which councils could be shut out of. Mr Page said the NSW government’s advice was that all eligible carbon credits including those issued by the federal government would be treated as derivatives and not be available to councils. QE3 aka QEInfinity (because Bernanke said it will continue indefinitely) is a great success for the traders, but not for the rest of us. I thought that it was deliberate – rather than ironic. – the average greenie looks at the average blue collar worker in much the same way as you or I would look at our shoe after we had just stepped in the output of a constipated great dane that had suddenly suffered from explosive diarrhea. 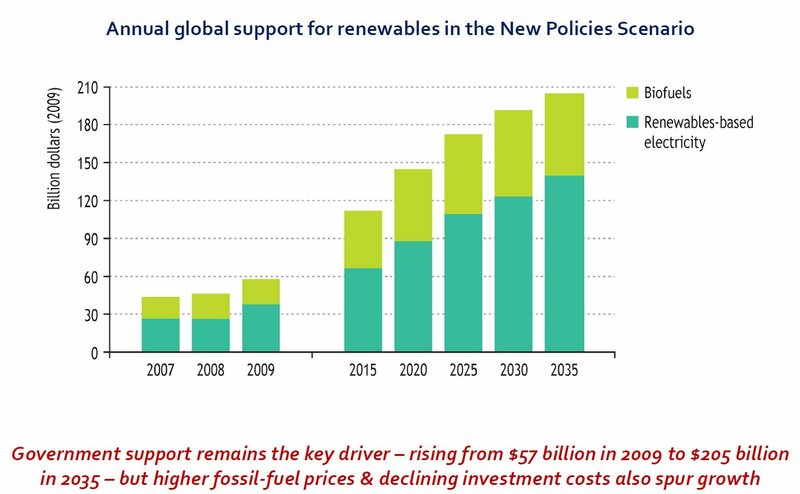 should have finished by saying the CAGW-ers LOOOVE it when the oil price goes up (blissfully ignoring the fact everything else is going up as well) because they BELIEVE it will make their beloved renewables more affordable (tho still useless). Because there are a number of indirect subsidies to all businesses in Australia, it would be wrong to say fossil fuel businesses are not subsidised. What they can say, and the solar and wind businesses can’t say, is that they pay their way. When christine milne sneers about the huge subsidies received by the mining industry she is referring mainly to the road tax exemption for diesel used off-road. How is that a subsidy?? When inner city greens refer to subsidies for motorists, they assume all fuel taxes rightly go into consolidated revenue, and registrations, stamp duty and fines don’t cover all costs of road construction, maintenance and management. In fact, motorists heavily subsidise non-motorists. All green party members lie. All green party supporters need lessons in reality. The unwinding of the credit fuelled nominal “economic growth” of the last 40 years due to the collapse of the $IMF fractional reserve banking, full fiat, debt addicted, international ponzi scheme that masquerades as our current monetary system will flush these mal-investments with it. I have for years been offering to subsidise my Green Acquaintances ten million dollars, the way Big Oil gets subsidized, if they will only subsidise me one million dollars the way renewables get subsidised. Sadly, none of them have taken me up on it. Short, sweet, and to the point. Great summary of the whole article!! Bet that would buy a lot of hospitals, schools and cancer research, pave a lot of roads, provide a lot of clean water and rehab a lot of sensitive environmental areas. Because there is always an opportunity cost. Too bad the Eco Greenie Fruits & Nutters can’t figure that out. Their priorities are killing a lot of people. Just a quick note, Jo: please write that book! Your reporting is highly readable and always full of juicy facts and figures the msm don’t care to report. By now, with all the info you regularly bring to us you must surely have the basis for a timely and hugely informative book. Don’t worry about finding a publisher – you can e-publish, get an Amazon listing and I’m sure your audience will find it. I bought Donna La Framboise’s and James Delingpole’s books via Amazon for my Kindle. I hear they both enjoyed very healthy sales! Meanwhile, keep up the good work. So appreciated by so many. But but but but but the arctic is melting! In other Government News, a shocking outbreak of government transparency was discovered last week. A standard collaboration software feature, henceforth described as a “glitch”, temporarily allowed users of the parliamentary computer network to see how our public servants are spending our money. Rapidly resolved? That doesn’t sound like government to me……. It is curious but perhaps no more than propaganda in action that the interactive map by National Geographic shows alleged fossil fuel subsidies (alleged because they appear to be calculated by comparing differences in national fuel prices and consumption, but as the article implies, is it any surprise that fuel prices in Iran are much lower than they are in places like Alberta? ), however, the map shows no national expenditures for green energy subsidies. Obviously, leaving subsidies for green energy out of the picture does not provide an objective overview of energy subsidies in the world. Since the utilities are required to give preference to renewable energy, while so much electricity is being loaded into the grid, existing fossil plants are running massively under capacity. They can produce much more, but they cannot sell their power. And this means that these plants, and especially the older, less efficient plants, are no longer profitable. There is another issue here, in that the renewables, with their base costs covered by subsidies, are able to benefit from their zero fuel cost and sell electricity into the grid at peak times, very cheaply. This is further undermining the fossil-fuel market, cutting revenue, especially in summer when power is plentiful and demand low. It’s sobering to learn that one’s understanding of what constitutes a government subsidy was completely wrong. How silly of me, during all those years when I believed I was paying income tax to the government, in fact it was actually the benevolent government that was “subsidising” me (by allowing me to keep a little of what I had earned). I fear we old colonists will need much reeducation under the new world order. I eventually tracked down a decent summary of what these subsidies are at Forbes. Standard business deductions. To remove these deductions would be to treat fossil fuel companies differently to other businesses and would seriously impact capital investments. while coal mining – a declining industry in many OECD countries – tends to receive compensation for its high-cost coal. and fuel-tax exemptions for targeted users such as farmers, other off-road users, buses or taxis. The rationale for these ‘subsidies’, in reality reduced taxes, is that these vehicles don’t use public roads, so its unfair to tax fuel for them as highly as vehicles that do use public roads. I missed the last bit. In summary, all I can see is the usual dishonesty from the warmist side of the debate. Thank you Phillip. Useful detail. Frankly I was a bit gobsmacked at how easily it was to pull this whole topic apart with a few hours of hunting. I mean — surely this has been done before, but I didn’t trip over any good explanation of why the $775 bn fossil fuel subsidy was completely bogus. Indeed I initially thought this would be a short post about the $70bn in renewables subsidies but then on all the sites that mentioned that, there were references to “fossil fuel subsidies” and despite the anger, the posters, the adverts, campaigns and bumper stickers, the topic literally dissolved upon touching it. The EIA, a dept of the US Federal govt, put out a report, which was hated by the greens, describing just how much greater the level of subsidization is for renewable than the carbon based fuels. It’s insane when factored per unit of energy produced. Even that report uses a fairly liberal definition of “subsidy” in which common aspects of the tax code “tax breaks” to the oil industry are compared to direct cash transfers to the renewables industries. I personally find that the persistence of this idea that the oil industry is subsidized to be ridiculous. #1 the petroleum industry has the worlds most lucrative product. #2 The petroleum industry must be the single biggest cash cow that govts have. Contain costs for energy customers through increased energy efficiency. Have your say on the actions in the Draft Plan. This incredibly stupid, wasteful and irresponsible use of taxpayer funds must be stopped ! This is a Liberal Government FFS ! What the hell is wrong with them ? This is one of the major reasons driving electricity prices to unaffordable levels. This is the premier of NSW O’Farrell’s plan…….. Climate scientist sues for defamation……..
Michael Mann, an influential “climatologist” (read CON MAN) who has spent years in the center of the debate over climate science, has sued two organizations that have accused him of academic fraud and of improperly manipulating data. I strongly suspect that this is going to backfire on him ! !